1. E-Bow The Letter (Live with Thom Yorke 14/06/98) ?:?? 1 by Berry, Buck, Mills, Stipe. 2 is Lucky by Radiohead. 2 track VHS Video recorded at Tibetan Freedom Concert, Washington D.C., 14/6/98. E-Bow The Letter features Thom Yorke. Lucky performed by Radiohead featuring Michael Stipe on vocals. 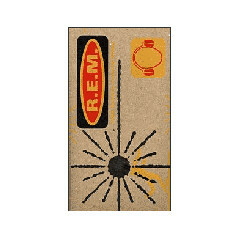 Sent To R.E.M Fan Club Members.